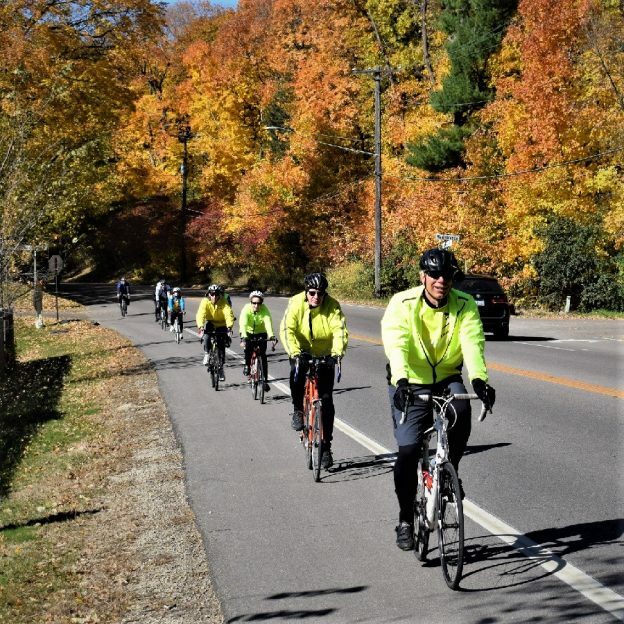 With the days getting a bit shorter as the fall bike event season progresses, there are several more bike events from October 23 through November 24th to enjoy for your preferred riding pleasure in the upper Midwest. With cooler temps drifting south enjoy all the colors of the season along the way. 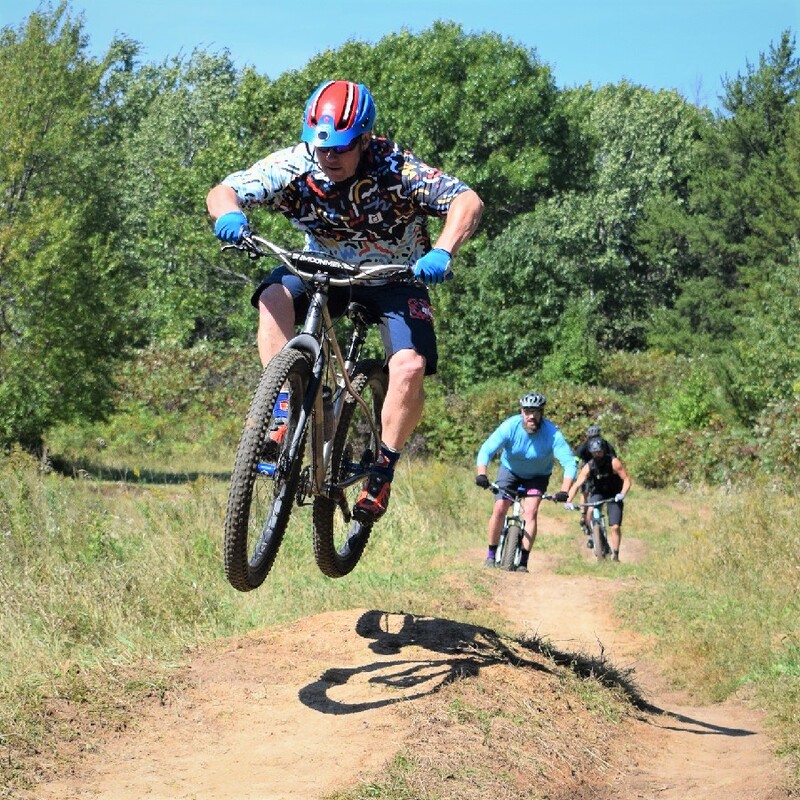 Many more fun bike events are out there to extend your fall season off riding – So have some more fun!. Did we miss an event? Please submit the event or pass this link to the director for our Calendar Listing at HaveFunBiking, so it’s in the next e-Mag – thanks! See more events further out in both the Iowa and Minnesota Bike/Hike Guides. So bookmark HaveFunBiking.com and find your next adventure. As you explore all the bike-friendly destinations we have covered, please share your experience with us. And, don’t forget to smile we may be around the next corner with our camera ready to capture you for our next pic of the day! 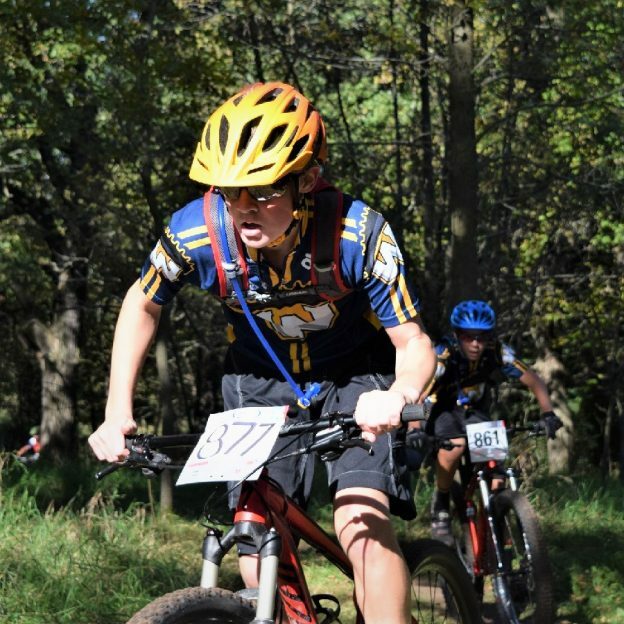 This entry was posted in News and tagged bike races, Bike Rally, bike touring events, cycle cross, cyclocross Iowa, cyclocross Minnesota, Gravel bike event, Iowa Bike events, Minnesota bike events, mountain bike, Mountain Biking, november bike events, October bike events, Recreational rides, Trail rides, upper Midwest bike events on October 10, 2018 by Russ Lowthian. Here in this bike pic, we captured this biker dude having fun pedaling into the morning sun. Can’ t make it out today, check out all the fun upper Midwest ride events happening this weekend at HaveFunBiking. 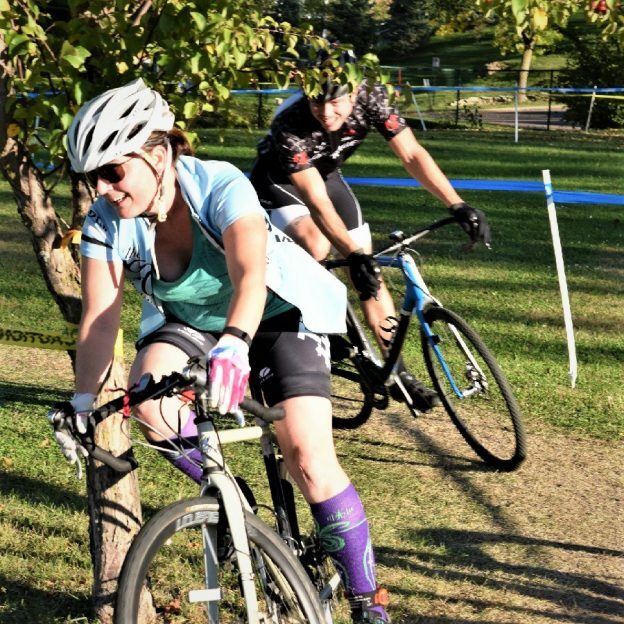 This entry was posted in Picture of the Day and tagged bike races, Bike Rally, bike touring events, cycle cross, cyclocross Iowa, cyclocross Minnesota, Gravel bike event, Iowa Bike events, Minnesota bike events, mountain bike, Mountain Biking, Recreational rides, September bike events, Trail rides, upper Midwest bike events on October 4, 2018 by Russ Lowthian. 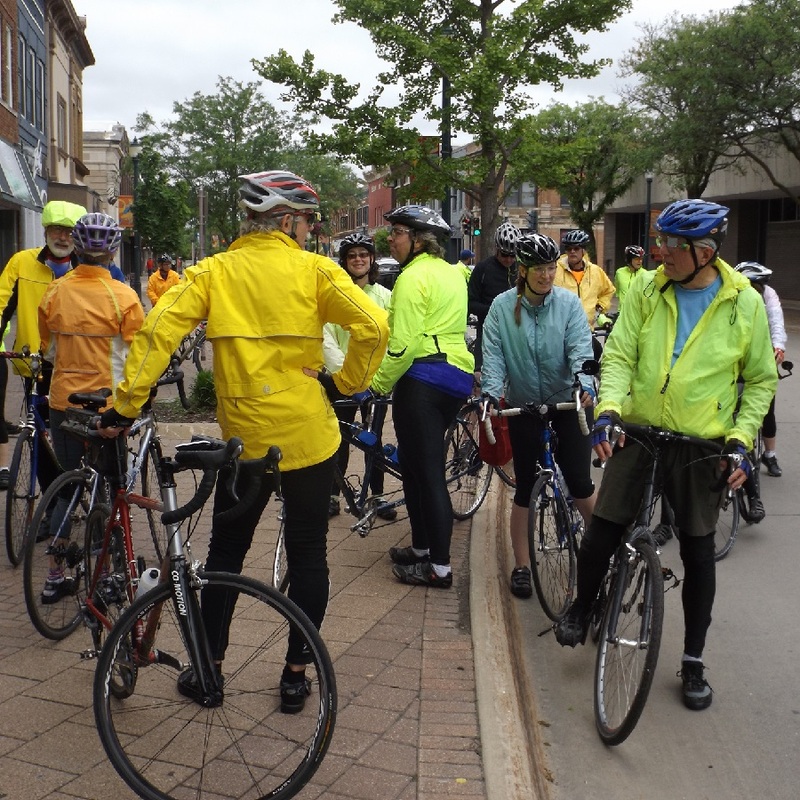 Now into the fall season here are several more bike events from October 1st through October 9th for your preferred riding pleasure in the upper Midwest. With fall now here you will notice cooler temps and more colors as the season progresses. 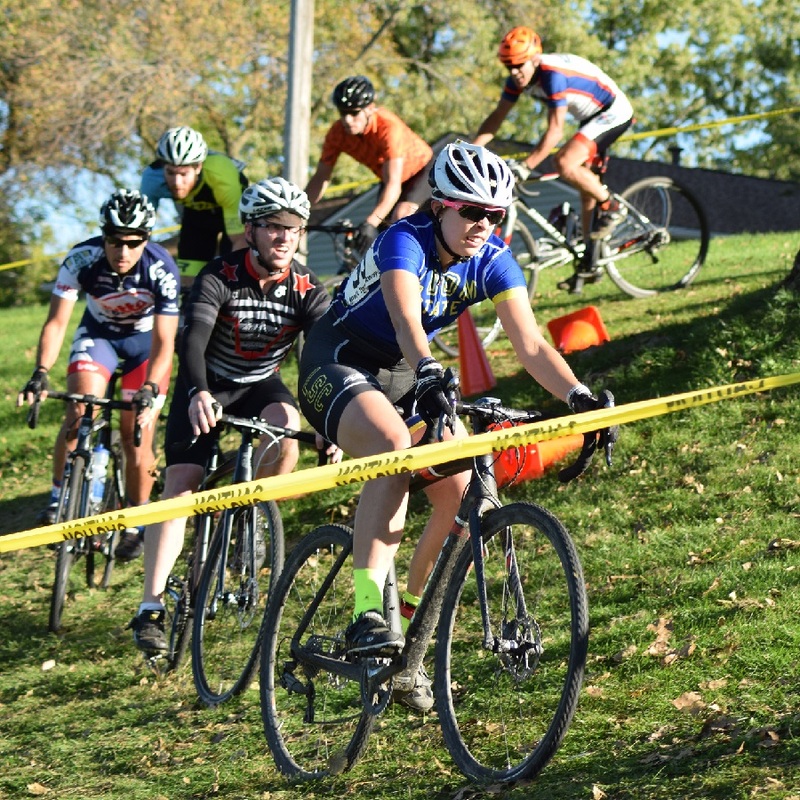 This fall is full of cyclocross bike events for all levels of riders. Gathering for a ride on the Promenade in Cedar Falls, in this bike pic.. 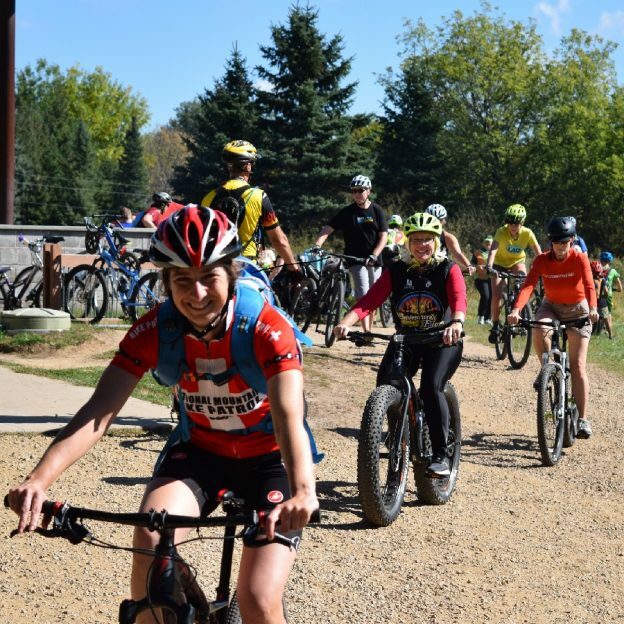 This entry was posted in Destinations, News and tagged bike races, Bike Rally, bike touring events, cycle cross, cyclocross Iowa, cyclocross Minnesota, Gravel bike event, Iowa Bike events, Minnesota bike events, mountain bike, Mountain Biking, Recreational rides, September bike events, Trail rides, upper Midwest bike events on September 25, 2018 by Russ Lowthian. 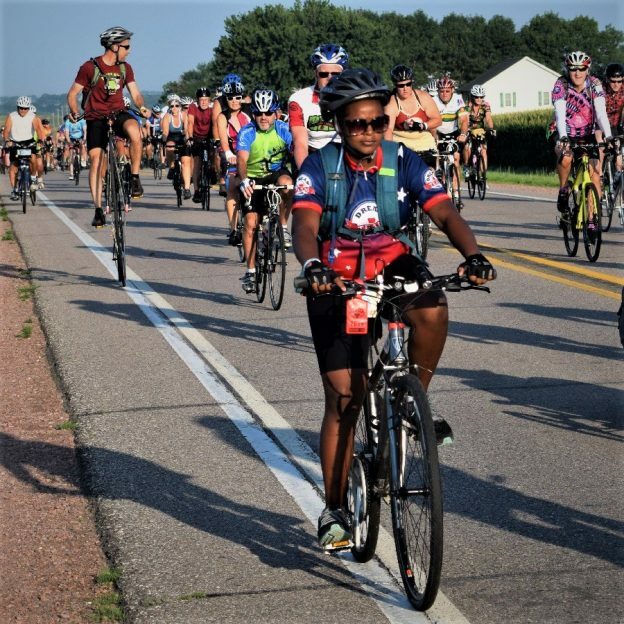 As summer slips into fall and we are into our last week of September, here are several more bike events September 24th through October 3rd, here in the upper Midwest. With fall now here you will notice cooler temps and more colors as the season progresses. 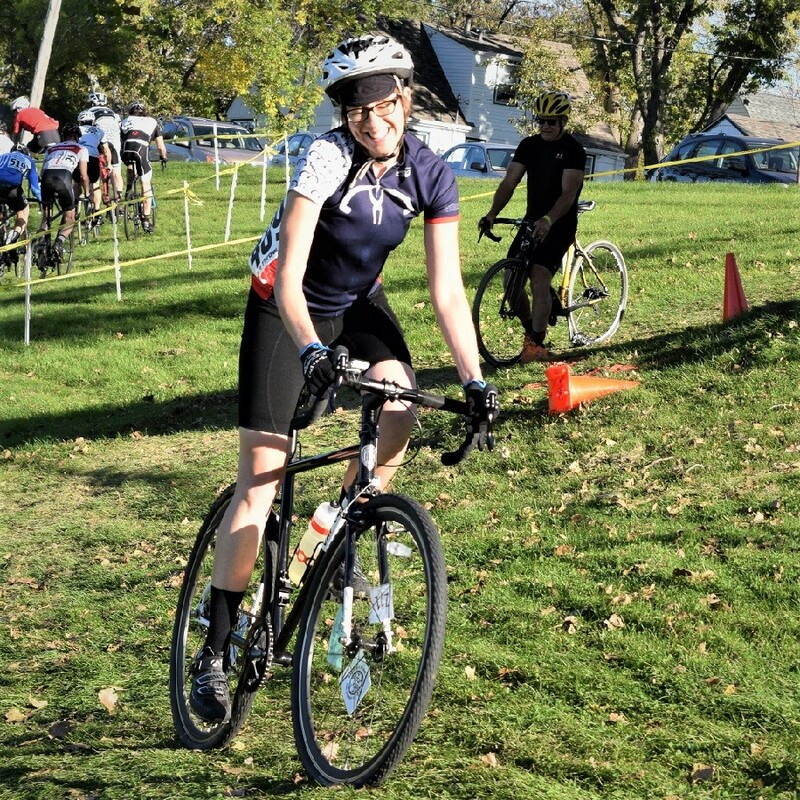 This entry was posted in Destinations, News and tagged bike races, Bike Rally, bike touring events, cycle cross, cyclocross Iowa, cyclocross Minnesota, Gravel bike event, Iowa Bike events, Minnesota bike events, mountain bike, Mountain Biking, Recreational rides, September bike events, Trail rides, upper Midwest bike events on September 23, 2018 by Russ Lowthian. As summer slips into fall this coming Sunday, here are several more bike events September 19th through the 24th, here in the upper Midwest. With fall now approaching, on Sept 22nd, you will notice cooler temps and more colors as the season progresses. So bookmark HaveFunBiking.com and find your next adventure. As you explore all the bike-friendly destinations we have covered, please share your experience with us. And, don’t forget to smile we may be around the next corner with the HFB camera ready to capture you for our next pic of the day! This entry was posted in Destinations, News and tagged bike events, bike races, Bike Rally, bike touring events, Cancer ride, cycle cross, cyclocross Iowa, cyclocross Minnesota, fall color rides, Gravel bike event, Minneapolis Bike Tour, mountain bike, Mountain Biking, Recreational rides, September bike events, Trail rides, upper Midwest bike events on September 17, 2018 by Russ Lowthian. As summer slips away, over the next week most bike events here in the upper Midwest will continue to enjoy warm days and cool nights, low humidity, very few insects as the autumn colors change the landscape. 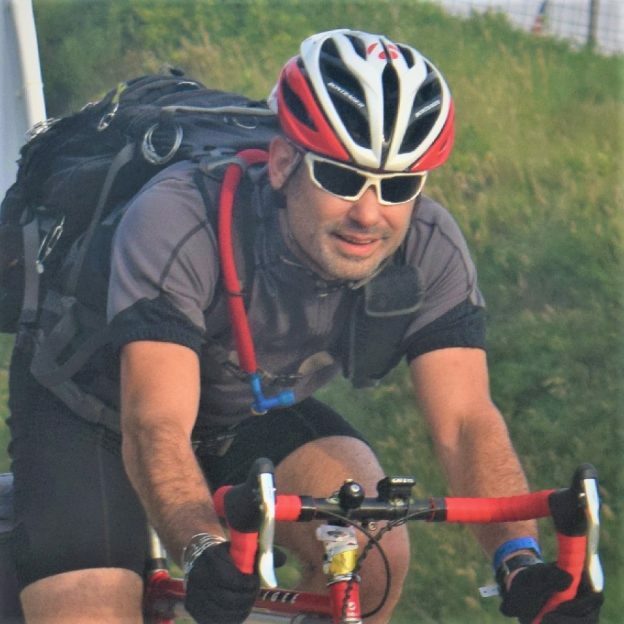 This entry was posted in News and tagged bike races, Bike Rally, bike touring events, Cancer ride, cycle cross, cyclocross Iowa, cyclocross Minnesota, fall color rides, Gravel bike event, Minneapolis Bike Tour, mountain bike, Mountain Biking, Recreational rides, September bike events, Trail rides, upper Midest bike events on September 8, 2018 by Russ Lowthian. If you like the idea of taking your road bike, or a slight version of it, off the pavement and onto a designated park area, cycle-cross may be for you. Also called CX, cyclo-X or just ‘cross the actual name is cyclocross and is a form of bicycle racing known worldwide. Cyclo-cross has parallels with mountain bike racing, cross-country cycling and criterium racing. The CX course is normally set up temporarily in a city park. The cycle-cross course is marked with yellow tape. Marked by plastic tape that goes up, over and around rolling, grassy and forested terrain. If you want to try cyclocross most states welcome amateurs to come out and try. If nothing else it’s a fun spectator sport the whole family will enjoy. With lower gears, a cyclocross bike frame is fitted to the rider so they sit more upright. Cyclocross bicycles are similar to road racing bicycles. They are lightweight, with somewhat narrow tires and drop handlebars. However, if you are just starting out, a mountain bike or road bike with a few modifications will do. Stop by your local bike shop and they can assist you in preparation so you can try this exciting sport. Looking closer at the CX bike there is greater tire clearances, lower gearing, stronger frames, disc brakes and a more upright riding position than standard bikes. They also share characteristics with mountain bicycles in that they use knobby tread tires for traction. The main reason for being lightweight, ‘cross riders need to occasionally carry their bicycle over barriers. The ideal course offers many twists and turn, some short uphill and downhill jaunts along with a few well-placed barriers. A cycle-cross race consists of many laps on a short (2.5–3.5 km or 1.5–2 miles) course. The race route is usually on grass and can incorporate pavement, wooded trails. 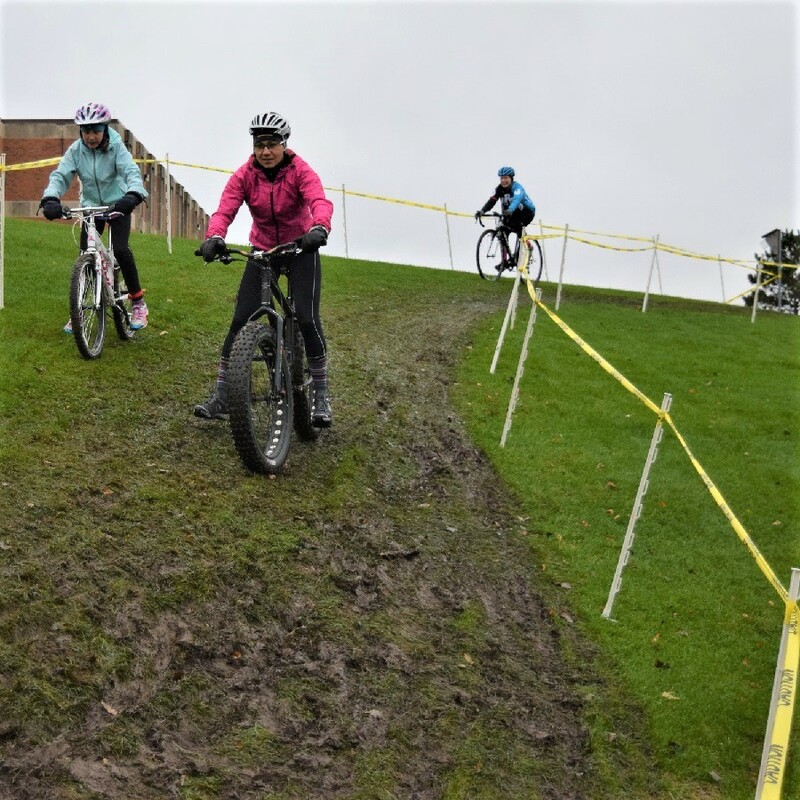 Obstacles along the way can include steps, steep hills and other barriers requiring the rider to bunny hop or quickly dismount, carry the bike while navigating the obstruction and remount. As a result, cyclocross is also known as the “steeplechase of cycling.” The sight of racers struggling up a muddy slope with bicycles on their shoulders is the classic image of the sport. Normally there are only a few un-ridable sections of the race course. For a spectator, they make a great place to stand on the sidelines and cheer. 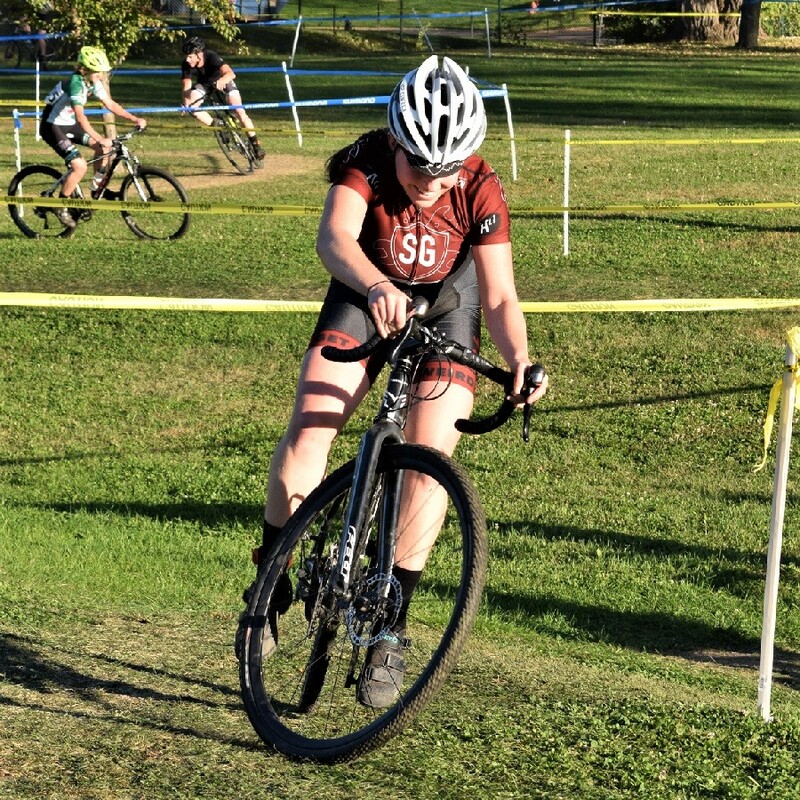 Compared with other forms of racing, cyclocross tactics are fairly straightforward and the emphasis is on the rider’s aerobic endurance and bike-handling ability. Although cyclo-cross courses are less technical than mountain biking, obstacles can require a specific technical ability of a rider. Here in the forefront, an amateur rider tests out the muddy cycle-cross course with a fat bike. For example, rider experience and technique come into play on course sections that are extremely muddy, wet or even snow. Normally too extreme to be ridden on a standard road bike tire, the challenge in cyclocross lies in maintaining traction in loose or slippery terrain at fast speeds. The power of the rider is generally higher over the duration of the race to overcome greater amounts of rolling resistance from loose dirt or grass. Although getting off and on a bike sounds simple, doing so in the middle of a quick-paced race is difficult. Often, when sections become extremely technical racer will carry the bike and jog for an extended time to save energy. Being able to fluidly dismount, pick up and carry the bike, then put it back down requires practice and skill. In competition, CX riders may do this many times throughout the race. 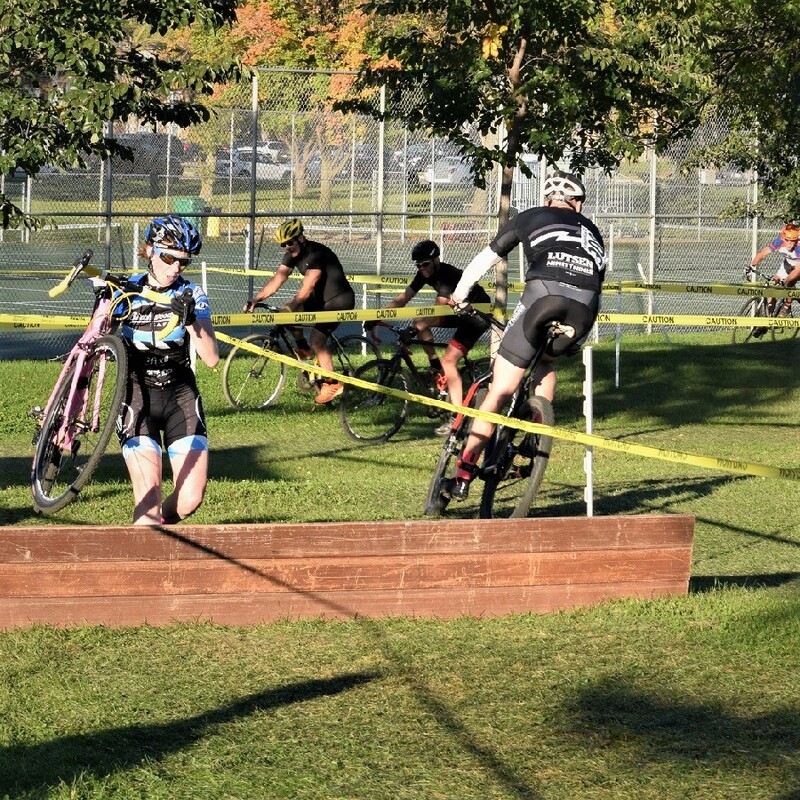 Here a rider dismounts and jumps over the barrier, then hops back on to resume her position in the race. Now with the leaves changing colors and cool crisp days of fall are upon us here are some links to race schedule that welcome new riders – in Iowa, Minnesota, Wisconsin and other states in the U.S. Visit your local bike shop for more information and extend your summer fun with cyclocross. Remember if it rains you just play harder! This entry was posted in News, riding tips and tagged bunny hop, cyclocross, cyclocross bike, cyclocross Iowa, cyclocross Minnesota, Cyclocross Wisconsin, steeplechase of cycling, USA Cycling on September 4, 2018 by Russ Lowthian. Bike Pic Sept 04, a little wet today the course can offer some muddy fun! It looks like a wet bike pic Tuesday here in the upper Midwest as cyclocross races move into the fall season. 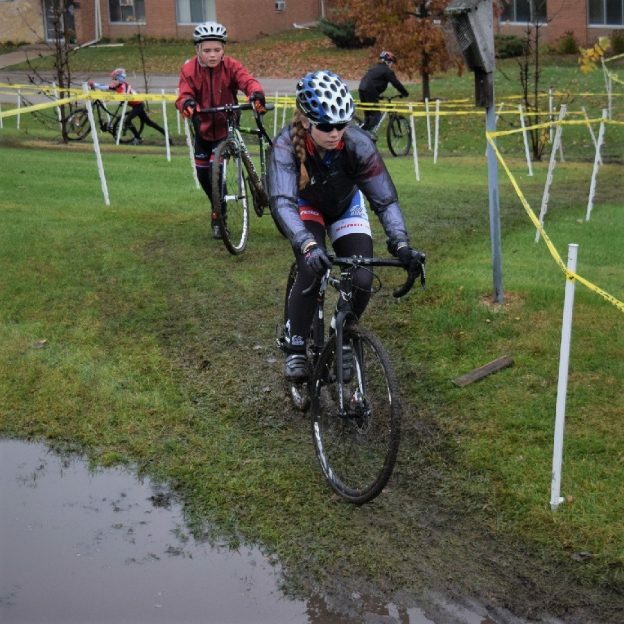 Here in this photo, we dug up a picture of a couple biker chicks enduring the wet weather and a muddy race course in Mendota Heights, MN. 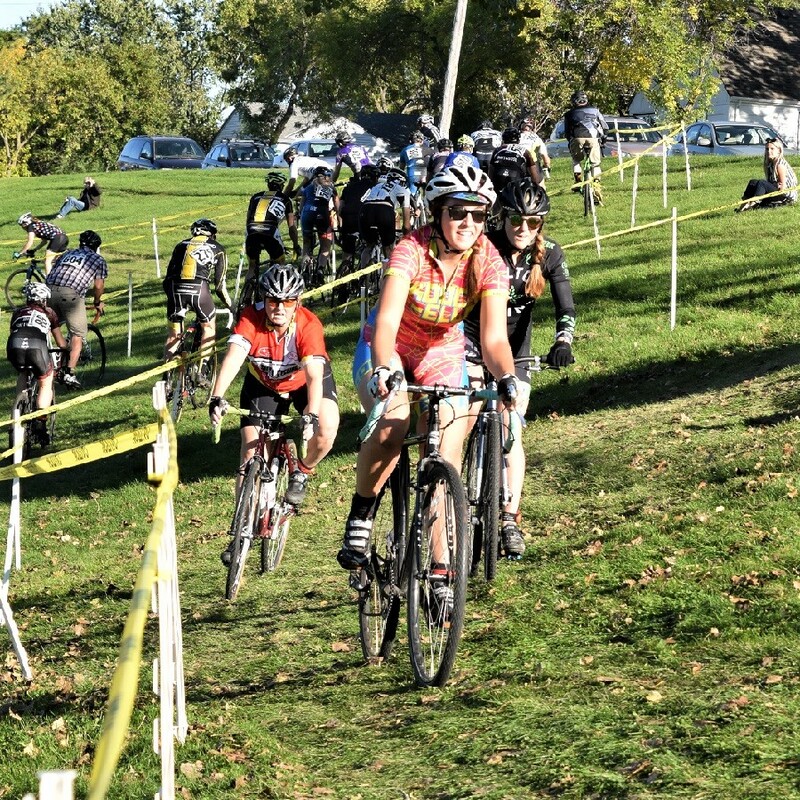 The next CX-MN race is this Wednesday, September 5th, in Battle Creek Park, in St. Paul MN. This entry was posted in Picture of the Day and tagged Battle Creek Park, bike tourism, biker chick, CX-MN, cyclocross, cyclocross Minnesota, cyclocross skills, fun bike picture, fun biking, Mendota Heights MN, Minnesota Cycling Federation, Minnesota trails, pictureperfect, riding in the rain, riding into the sun, St Paul MN, sweet ride on September 4, 2018 by Russ Lowthian.